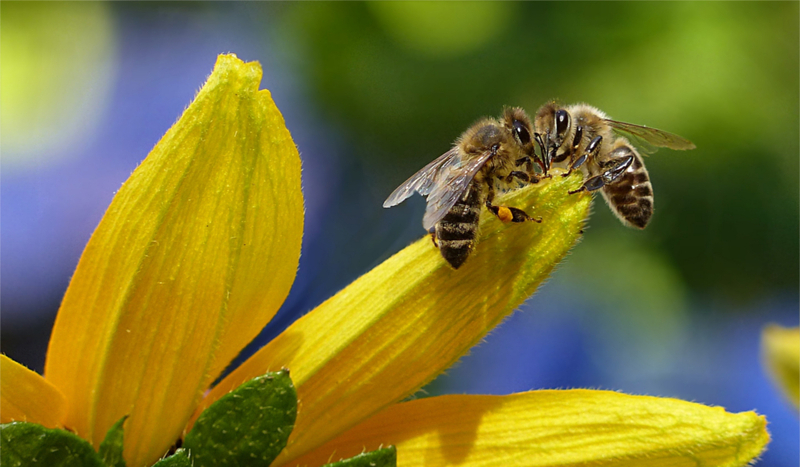 Bees are the most easily spotted pollinators on the planet. With their bright yellow and black stripes, you can find bees in fields and flower beds across the country. They pollinate our crops, our flowers, and bring much more to the ecosystem than just their (delicious) honey. Beekeeping is cheaper and easier than many people realize, but even the non-apiary enthusiast can appreciate the magic of nature’s fuzzy flyers that make honey in their mysterious hives. Unfortunately, bees are in danger. Colony collapse and insecticide on crops have tragically affected the number of bees, and by proxy, we are affected. Teaching your child about bees is not only fascinating, but a great way to open dialogue about larger issues like the balance of the natural world, man’s place in it, as well as cause and effect. Below we’ve complied a list of great books about bees for any age or curiosity level. This is another excellent science book put out by DK Publishing. For younger readers, (read elementary school) THE BEE BOOK answers all the big questions with short, simple answers accompanied by striking graphic illustration. It’s a beautiful book that covers the basics and a bit more. Is your kid more of a visual learner? Then Peter Socha’s book is the best bee book for you. Detailed and inviting illustrations dominate this large scale book that covers everything from the history of bees to how the hive works on the inside. The portion that breaks the hive down into cross-sections serves as one of many highlights from the inside of an incredibly illustrated book that begs to be opened. Even the littlest readers can appreciate this sweet story of one bear who has to learn that honey takes time to make. Focusing on the seasons and quietly pointing out the connection between bears and bees, this simple tale is perfect for story time with kids just learning to read on their own. If you’re looking for an excellent story about bees, you can’t do better than THE KING OF BEES. One small boy from South Carolina is fascinated by his gentle Aunt’s beekeeping. Through the story he learns more about the bees that he can’t stop wondering at, and in one heroic act does his best to save the hive. More than just a beautifully illustrated book about bees, this sweet story illustrates the beauty and wonder of childhood, as well as the relationships we have with family.